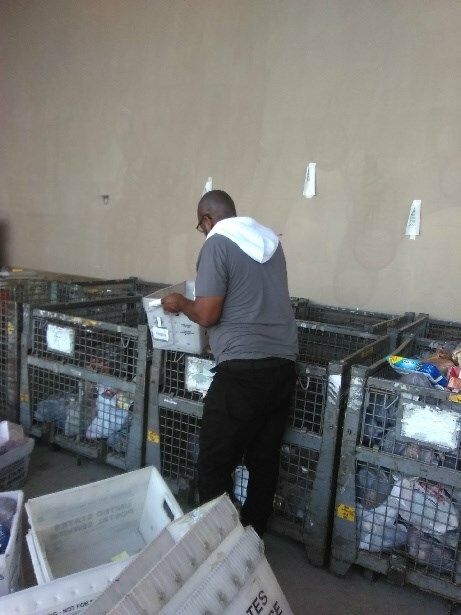 On Saturday, May 12, four Coleman Worldwide Moving locations participated in the National Association of Letter Carriers (NACL) Stamp Out Hunger Food Drive. 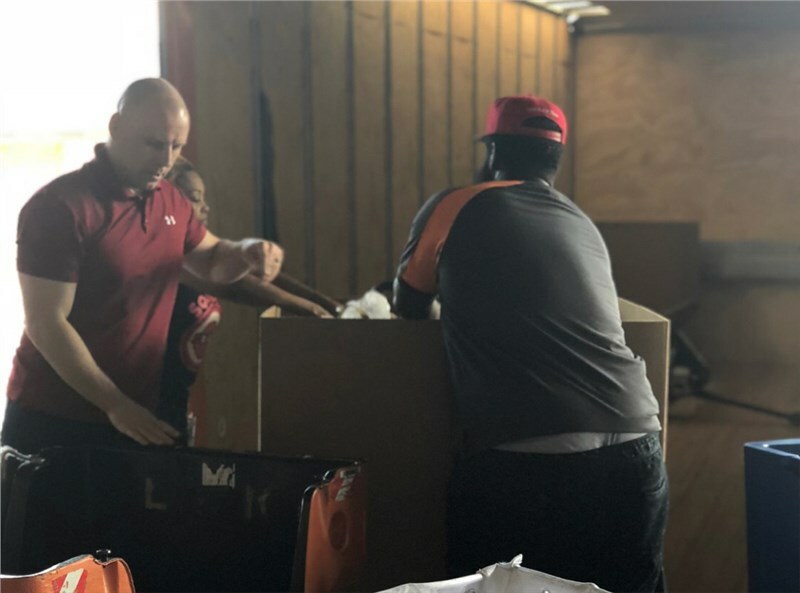 According to the NACL’s website, “The NALC National Food Drive is the outgrowth of a tradition of community service exhibited repeatedly by members of the letter carriers union over the years. These carriers, who go into neighborhoods in every town six days a week, have always been involved when something needed to be done, whether it be collecting funds for a charity like the Muscular Dystrophy Association, watching over the elderly through the Carrier Alert program, assisting the American Red Cross during time of disaster, or rescuing victims of fires, crime, and other mishaps.” The food drive takes place every May on that month’s Second Saturday. 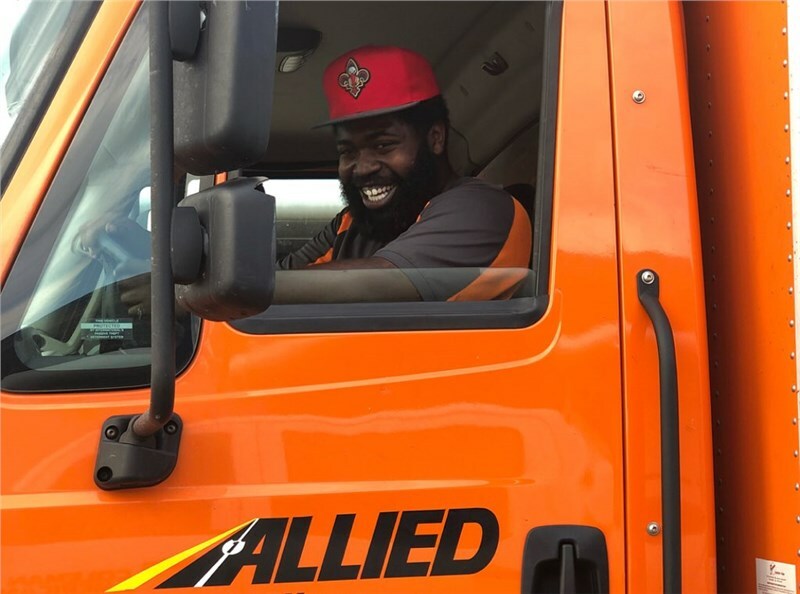 The food drive efforts were tied to Coleman’s relationship with Move for Hunger, and Coleman was asked to collect food with four of its markets: New Orleans, LA; Hampton, VA; Mobile, AL; and Spokane, WA. 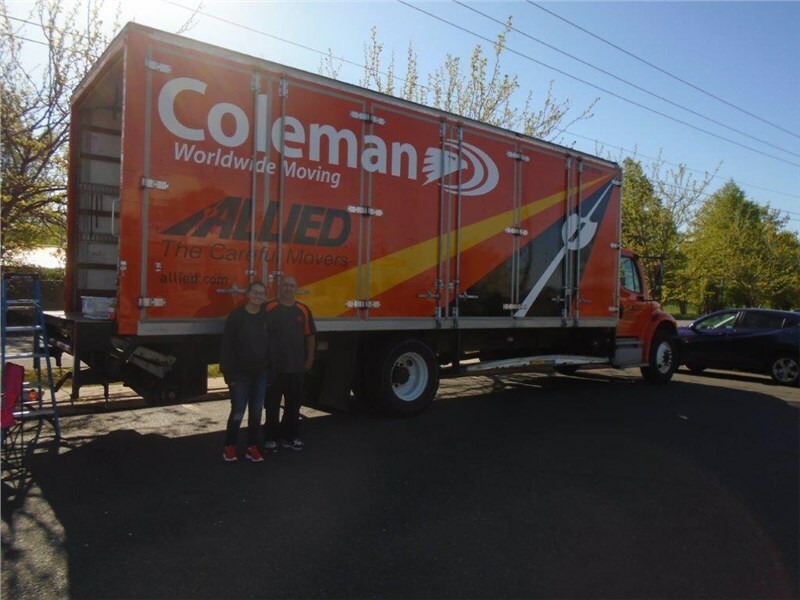 Through coordinating with area post offices and local area food banks, Coleman was able to collect a total of 25,811 lbs which equates to 21,510 meals for those in need. According to Feeding America, 1 in 8 people struggle with hunger throughout the United States. 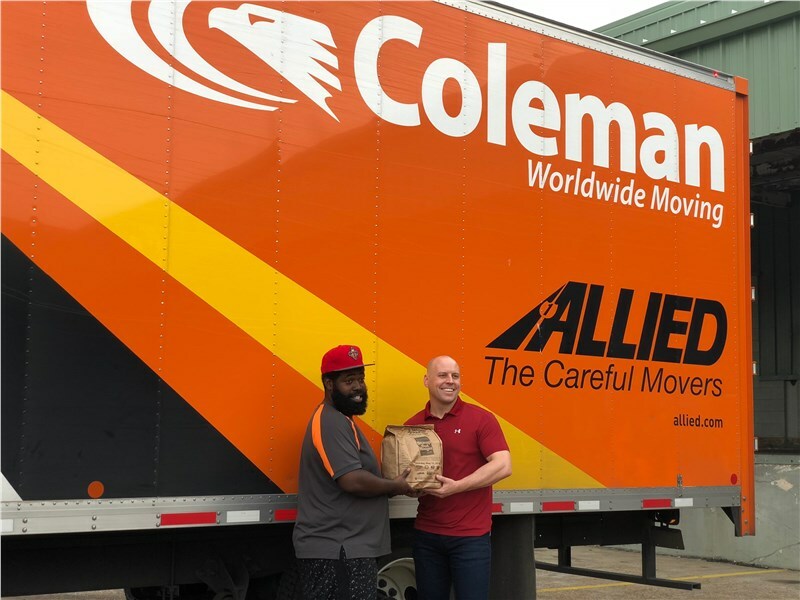 Coleman Worldwide Moving, largest agent for Allied Van Lines, has collected over 300,000 lbs of food through events like this and other local efforts in support of Move for Hunger. Below, we have listed the individual pounds collected for each office as well as a few photos taken during the event.